Life Before the Dinosaurs: Protopriapulites. 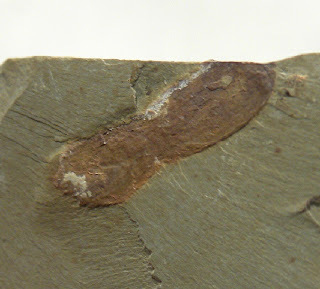 Protopriapulites (pro-toe-pry-uh-pew-LITE-ees) was a priapulid worm that I think looked more like a peanut than a worm. It was about one centimeter long. Some fossils showing the gut full of mud indicate that Protopriapulites may have fed on detritus from the sea floor in the same way that the spiny Burgess Shale worm Fieldia did. Protopriapulites is known from the Chengjiang in China. It had a ball-shaped posterior, a head similar to that of Ottoia, and a proboscis similar to that of Fieldia. I believe that the ball-shaped posterior of Protopriapulites may have helped anchor it in its burrow, and if a predator tried to grab its head, it would not be able to pull the worm out of its burrow. So the predator would probably be discouraged and look for something else to eat. Protopriapulites was noticeably similar to Paleopriapulites, another peanut-shaped worm from the Chengjiang, except Protopriapulites had a spiral gut and Paleopriapulites did not. Protopriapulites is a common species of priapulid worm in the Chengjiang. 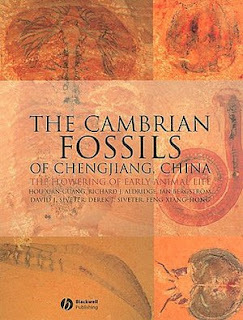 Protopriapulites is mentioned in the book The Cambrian Fossils of Chengjiang, China, which I received from Kamakanui, one of my readers. It is an amazing book mentioning some of the weirdest animals in the Chenjiang. 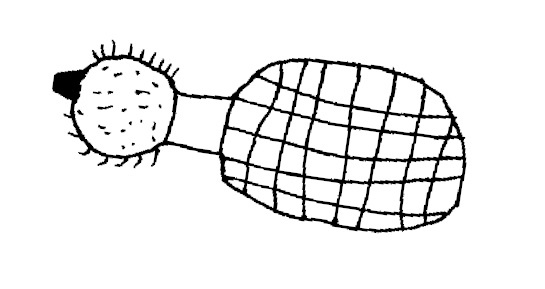 It also has many obscure creatures which are hard to find on the internet, such as Protopriapulites. There is a whole section full of the enigmas of the Chengjiang, such as Facivermis. Each section has a certain phylum that the creatures mentioned in it belong to, in this case Protopriapulites would be listed under "priapulida." This book has tons of information on all these mysterious and obscure creatures. 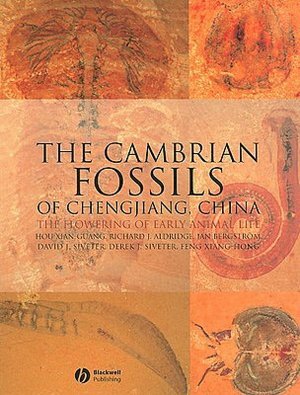 The Cambrian Fossils of Chengjiang, China: The Flowering of Early Animal Life, Blackwell Publishing, pg. 66 & 67.